Today, Primary 6V have been adding items to the ePortfolio categories on their individual blogs and we’ll put links to some of them in this post. We’ve been finding it hard to find the time to add items to our ePortfolios but recently we came up with the idea of making ‘one minute movies’ to share our learning. Abbie was the first one to ask for the class Flip camera so that she could add something. 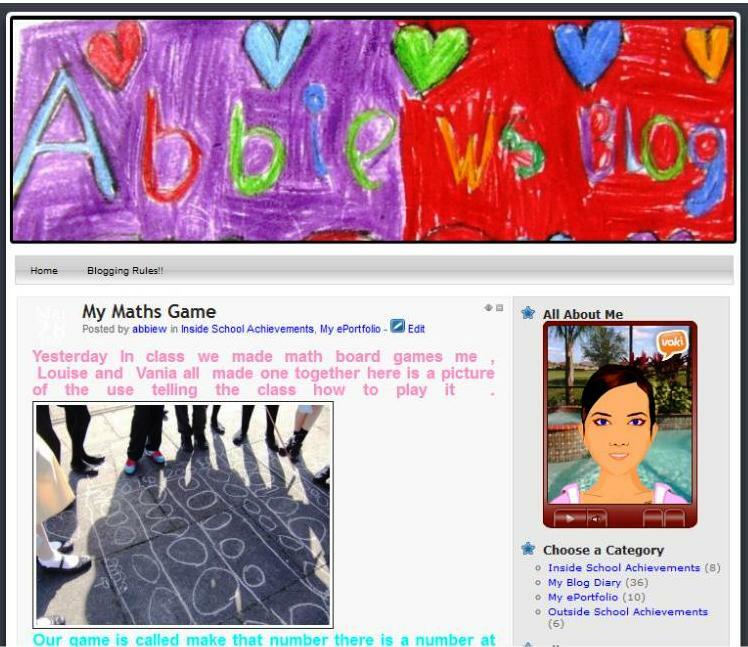 Abbie also wrote about the math game she made with her group today and she was keen to add that to the ePortfolio section. Everyone had to devise a math game for the others others in class to play (and learn from). The thing that made it more exciting was that it had to be a game that could be played outdoors. Primary 6V began to plan their games on paper…..and, as the weather was unseasonably warm, we decided to take the planning sheets outside and see if we could make them ‘for real’. The games were a great success (making them and playing them!) The photo in Abbie’s post shows the group demonstrating how to play their game to the others in the class. It was a great game and everyone enjoyed having a ‘go’! 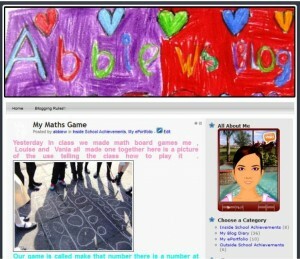 Have a look at what Abbie wrote about her game on her ePortfolio. Just click HERE to read her post.